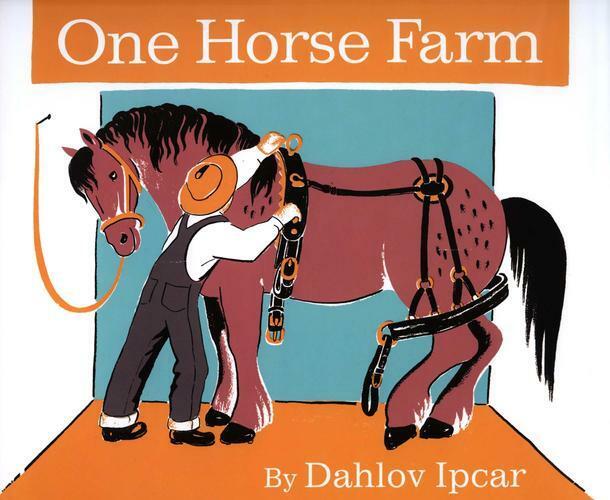 Dahlov Ipcar (’31), artist and author, best known for her bold, graphic and colorful children’s books, was among the first students at City and Country—Caroline Pratt even describes meeting Ipcar’s family on a trip out West in her book I Learn From Children. In fact, Ipcar’s father, famed painter William Zorach, was C&C’s first art teacher. Ipcar experienced Pratt’s ideas about progressive education as they unfolded in their earliest stages. Ipcar has kept in touch with her first alma mater and recently spoke with C&C from her home in Maine—just after finishing her usual morning painting. We are fortunate to share some of her reflections on her time at C&C. turned off when they hit school: they are anxious to get back to living. We at City and Country didn’t feel that way: we loved school. My parents thought this was a tremendous education. I would have loved if I could have continued at C&C through high school! C&C teachers were always in control. Plus—they made class interesting! They knew exactly how to let children be their own creative selves. I especially remember the talents of XIIIs teacher Leo Huberman and Music teacher Margaret Bradford. We painted in the classroom at least once a day. They gave us the worst kind of paper—newsprint—and laid it directly on the floor. My father saved every piece of art I made. This early work appeared in Creative Growth: Childhood to Maturity at the Museum of Modern Art. I had just turned 21 in 1939 and this was my first solo show. We shipped everything to Maine and then did a repeat show, Creative Growth, at the Portland Museum of Art in 1970, 35 years later. There is such emotion attached to a painting. Opening up the crates of my childhood artwork immediately brought to mind the feelings I had when I first painted them. As an adult, I would have liked to have had Caroline Pratt as a peer. As children, well, I hate to say it, but we held her in dread! Our only punishment was to be sent to the principal. But that rarely happened as we were conned into disciplining ourselves: no running in the halls, no painting graffiti in the bathrooms. When you make the rules, you’re apt to follow them! The work we did at C&C was inspiring. Beyond inspiring an idea for a specific painting, the work created an environment of inspiration for everything from painting to thinking. I clearly remember researching Aztec and Egyptian culture, and the colors and emotions associated with preparing and presenting a play. I wish all schools could be like City and Country. Every child should have the experience they offer. 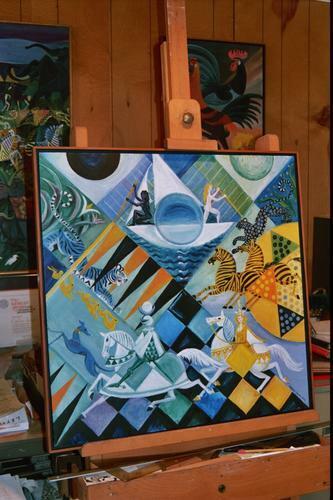 Dahlov (Zorach) Ipcar was born in Vermont in 1917 to the famed sculptor William Zorach and artist Marguerite Zorach. Raised in Greenwich Village, she spent summers in Maine on her parents’ Georgetown Island farm. From three to thirteen Ipcar attended City and Country and found that she and this experimental school were a perfect fit. She enjoyed studying the history, culture and art of ancient civilizations; acting in plays; and writing stories and poems. Outside of school, Ipcar and her father regularly visited studios, galleries and museums—especially The Metropolitan Museum of Art, where she was struck by the form, color and design of ancient art in particular. And she began to paint. 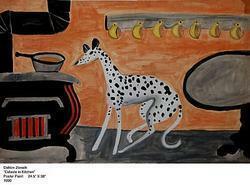 Scenes of exotic animals in places she’d never seen were often the subjects of her earliest work. Ipcar continued her progressive education at Walden School and what was then the Lincoln School of Teachers College. She set off for Oberlin College on a full scholarship but left after one year, dissatisfied with conventional academics. “I had a great education starting at C&C. I live a creative life and have never felt inferior without a college degree,” Ipcar says of this decision. Back in New York City, Ipcar taught and continued to paint. 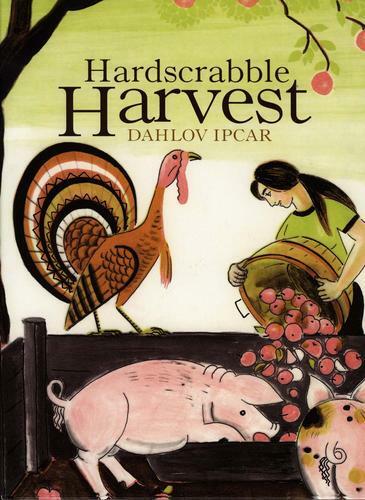 In 1936, Ipcar and her new husband Adolph left the city to live on the family farm, where they first met. “Some see living, as we did, as farmers in Maine, as a life of hardship, but I see it as a creative and romantic life,” says Ipcar. In 1939, when she was just 21, Ipcar’s work was the subject of a one-woman show, Creative Growth, Childhood to Maturity at the Museum Of Modern Art. By the early 1940s, Ipcar had nearly given up thoughts of writing and illustrating books, but was contacted by a New York publisher to illustrate The Little Fisherman, a book by Margaret Wise Brown. The struggling young artist jumped at the chance, and the resulting picture book helped launch a four decade-long career that saw her write and illustrate more than thirty children’s books of her own in a distinctively modern style that has done much to change the role of artwork in children’s literature. In 1972, Ipcar and her husband together received the Maine Governor’s Award for “significant contributions to Maine in the broad field of the arts and humanities.” She has also received three honorary degrees from The University of Maine, Colby and Bates Colleges. 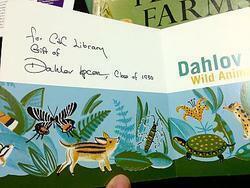 In April of 1998, The University of Minnesota honored Ipcar with The Kerlan Award for Children’s Literature. Today, Ipcar’s intricate, distinctive and fanciful artwork is known worldwide, with pieces of her work in the permanent collections of numerous renowned museums, including The Metropolitan Museum of Art and the Whitney Museum of American Art. Meanwhile, Ipcar still lives and paints in the 1860s farmhouse that she shared with Adolph for nearly seventy years. She once said she didn’t want celebrity or fame; she just “wanted to be recognized.” In retrospect, a fairly modest statement for a Maine—and American—treasure. Biography adapted with permission from Islandport Press. 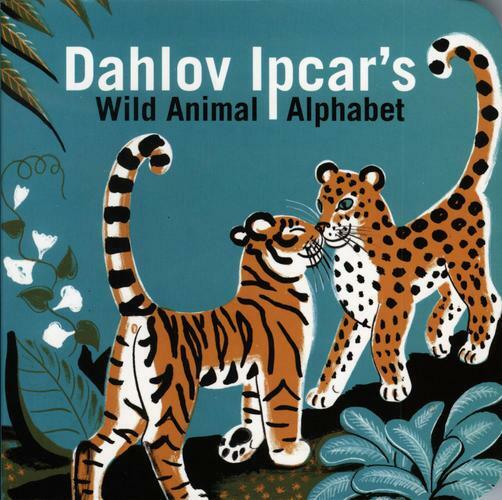 For an in-depth look at Dahlov Ipcar’s works and life, please visit www.dahlovipcar.com. Ipcar has collaborated with Barbara Barren at the Classic Rug collection to create stunning rugs and pillows, available to C&C alumni for a 15% discount with the code CCSCHOOL at www.ShopClassicRug.com.